We offer private sessions to individuals that are interested in an alternative process to emotional and trauma healing. 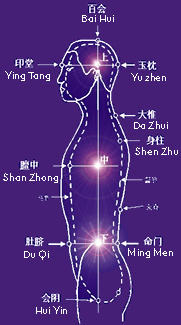 We use a synthesis of body-centered nervous-system release methods originated by Dr. Peter Levine, and the QiField technique developed by Dr. Ming Pang. The process is somatic-energetic, presence-based and quickly by-passes the traditional mental, physical and emotional resistance to healing that is usually encountered in traditional therapies. We offer private instruction to individuals that are committed to practicing energy and awareness cultivation methods. Private instruction also involves healing sessions plus individualized practice programs.